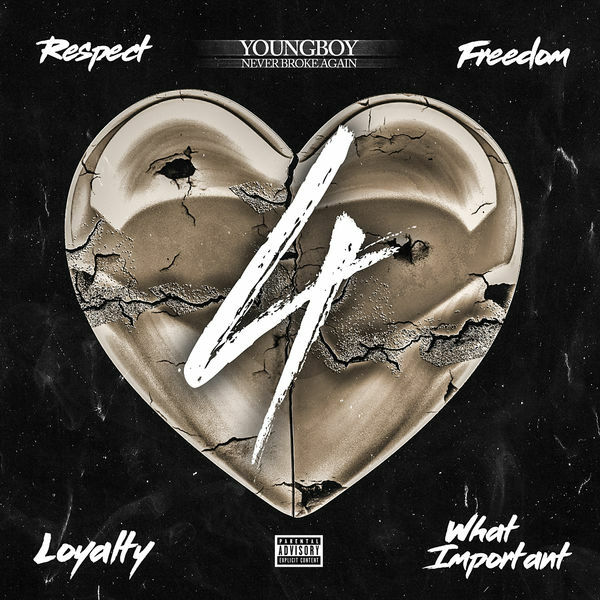 YoungBoy Never Broke Again‘s new album 4Respect 4Freedom 4Loyalty 4WhatImportant is now available for download and streaming across all platforms. This is the fourth week in a row that YoungBoy has released a four song EP but today’s EP brings all the EPs into a 16 track album. The new EP has no features but the entire project features Quando Rondo, Young Thug, & Kevin Gates. Download or stream 4Respect 4Freedom 4Loyalty 4WhatImportant below.